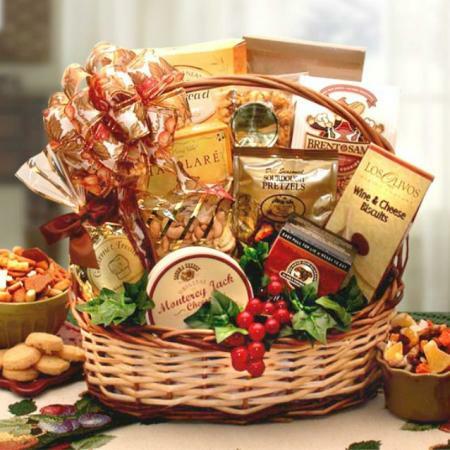 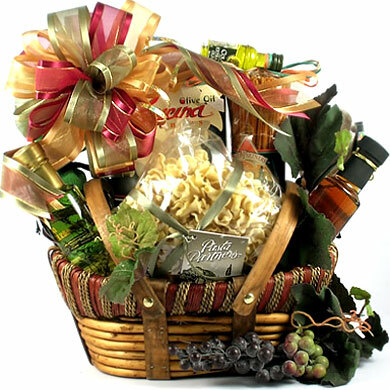 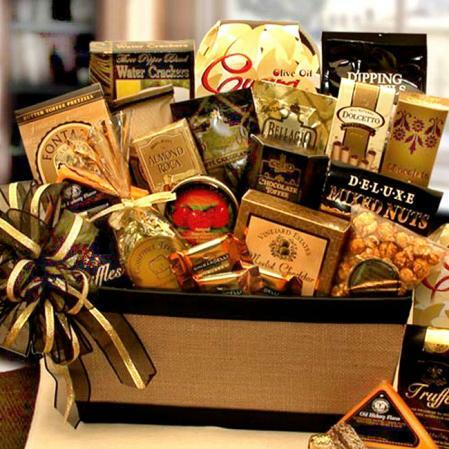 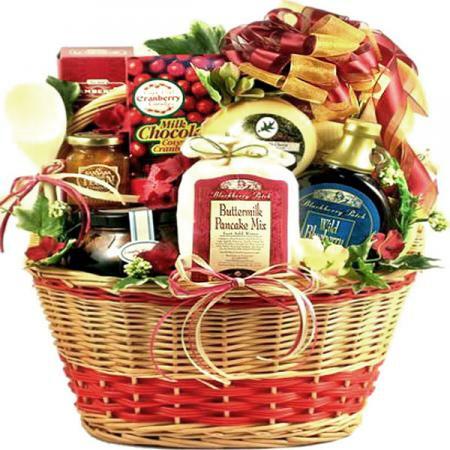 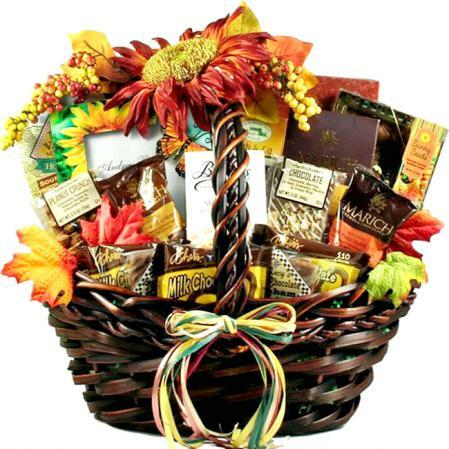 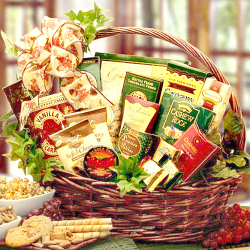 This gorgeous high-end food basket brimming with scrumptious gourmet goodness is perfect for corporate, personal, or family gift giving occasions. 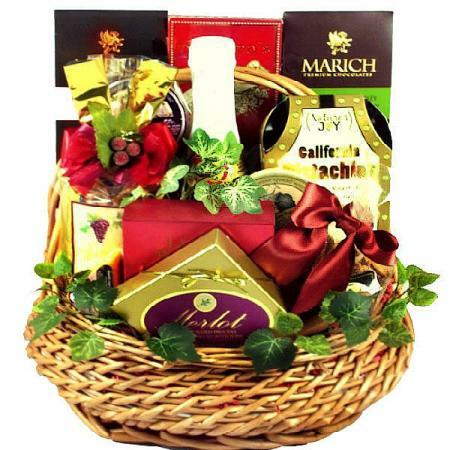 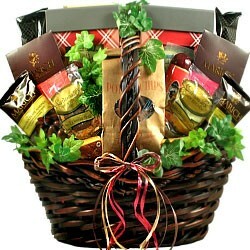 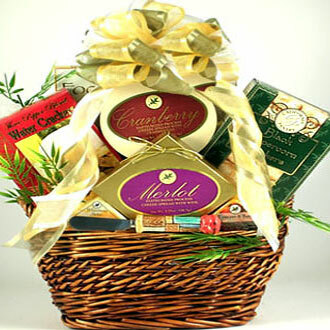 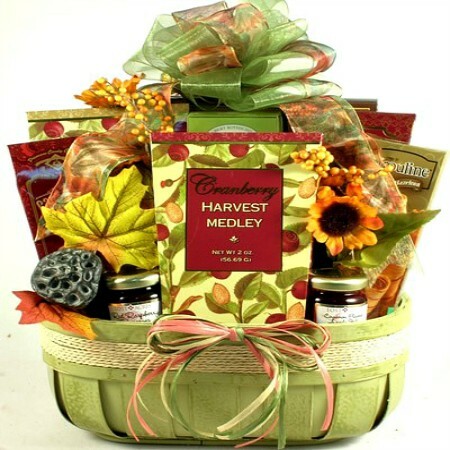 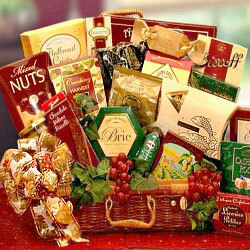 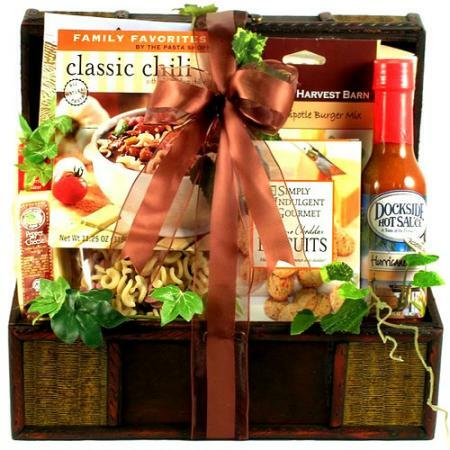 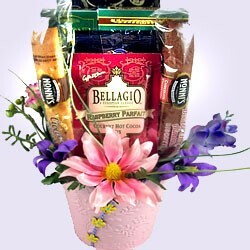 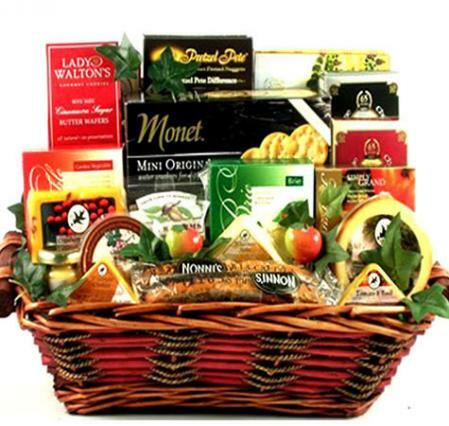 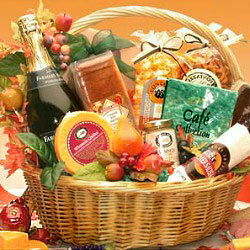 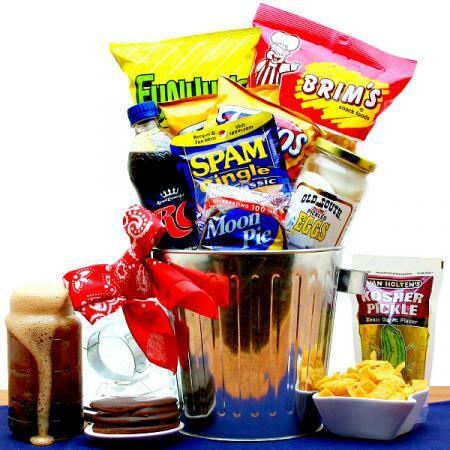 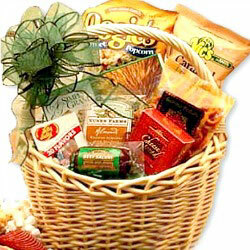 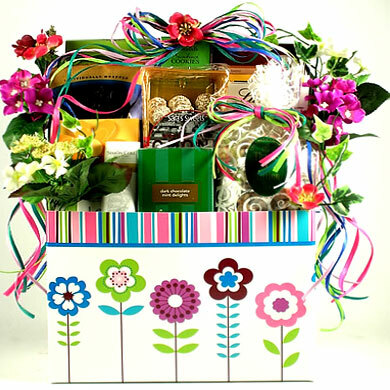 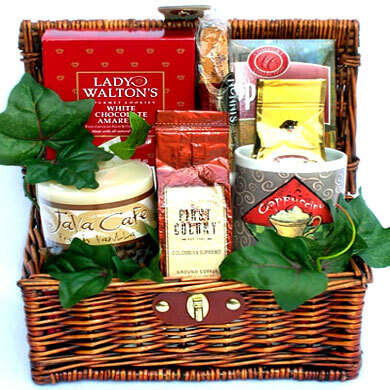 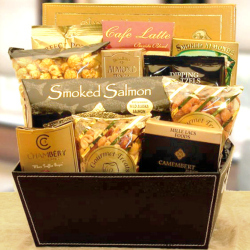 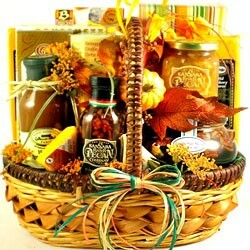 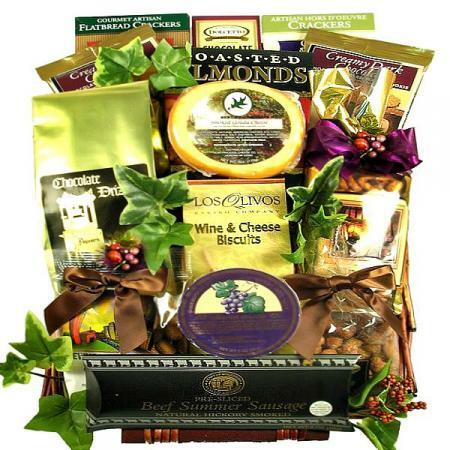 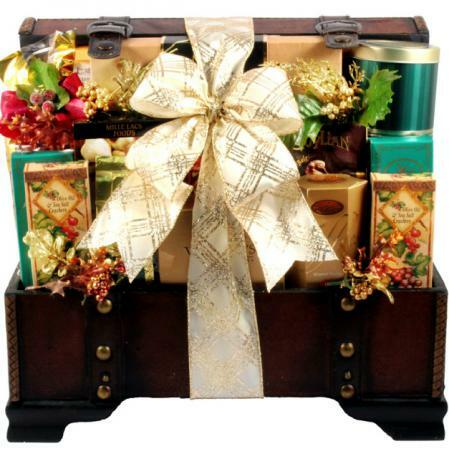 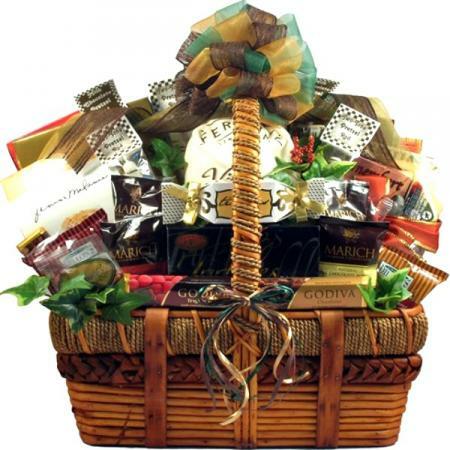 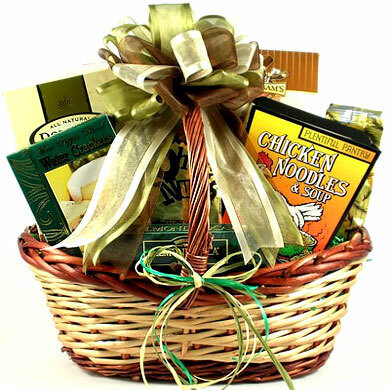 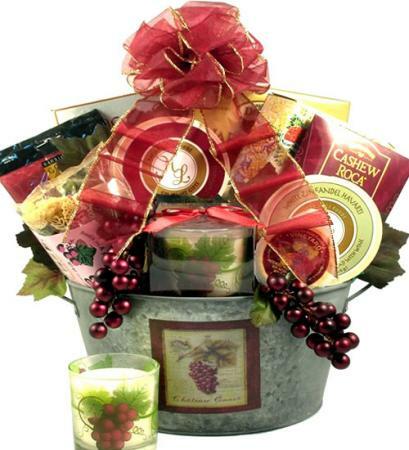 This handsome gourmet gift basket combines gourmet goodness in a unique handcrafted basket for a five star rated gift! 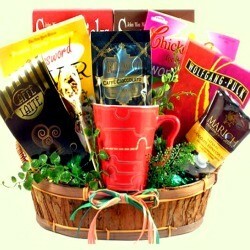 A great gift idea for business, personal or families.